It has become quite common that as soon as wrought iron furniture gets rust on it, we throw it out. This often happens after a damp winter season, where the presence of air, water and oxygen is extremely high. This weakens the furniture and it starts to disintegrate. Most people keep wrought iron furniture out on the patio as it gives a great look. No doubt, cleaning rust is a hard task but just because you do not know the right way to do it, doesn’t mean you need to throw the furniture away. Instead of holding out a garage sale for your expensive furniture, why not try some DIY tricks to clean it. Today, you will find various cleaning agents in the market that will help you to clean rust. However, these agents have a short life and after a few months, the furniture gets right back to that rust infested condition. White vinegar is the most effective household item that can be used to remove rust. However, this cleaning technique requires you to dip the rusted metal surface in vinegar overnight, so that rust can come off easily. Since you cannot dip furniture into vinegar, there’s another way you can clean the rusted parts. First of all, spray WD-40 on the rusted area and wipe it with a cloth to remove any dirt and grease. Now, sprinkle some vinegar on the furniture and dip the aluminium foil in vinegar. Scrub the rusted area until you see the rust coming off. This might take some time because you will have to put in some serious elbow grease. The lime juice activates the salt crystals and makes the rust soft and easy to remove. Sprinkle some salt on the rusted area and then, sprinkle lime juice on it. Add more salt and lime juice and form a thick layer. Let the layer settle and leave it on for two to three hours. Now, remove the salt with lime rind and wipe the surface. Make sure to dry it completely or the metal will start to oxidize. Spray WD-40 on the surface and lubricate the entire area. 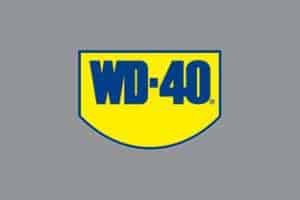 WD-40 is the 101 technique when it comes to “How to Clean Rust”. It prevents moisture and keeps the surface dry and rust-free if any part comes in contact with water. If you don’t have limes, you can use lemons instead. Lemon has the same properties as vinegar and works fast on rust. It might sound weird but these ingredients really do the trick. The steps for initial cleaning are the same: Use WD-40 to remove all the rusty surfaces and make sure that there is no dirt left behind. Now, cut a potato in half and rub dish soap all over it. Use this half open potato as a scrubber and rub it over rusted areas. For the corners, create a mixture of potato juice and dish soap, and pour it on the corners. You can either use a hand brush or a scrubber to reach these areas. The combination of baking soda and water is the same as lime juice and salt. You need to create a thick layer on rusted areas to allow time for the baking soda to work. First, sprinkle baking soda on the rust and then sprinkle water on it. Using oxalic acid is quite risky but it removes rust quite fast. For this method, you need to take certain precautions. Before using oxalic acid, wear rubber gloves, goggles and a nose clip. Try not to inhale fumes because they are toxic. Since, furniture is too big to completely cover in the oxalic acid and water solution, you can pour it in small amounts and use a steel wool to scrub the area. As mentioned earlier, the reason why you cannot use these store cleaning agents on the furniture is because there’s a possibility that the furniture might get damaged beyond repair. 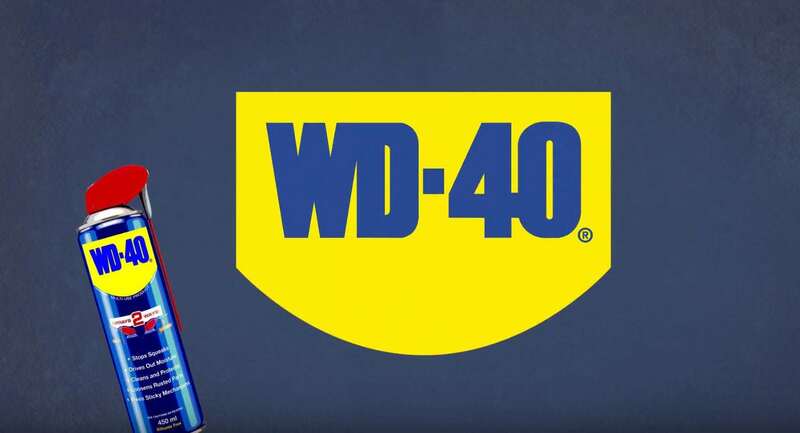 Using WD-40 after you have cleaned off the rust is highly recommended because it is a high quality, multi-use agent that offers several advantages when cleaning rust. Parts of furniture that get stuck — such as table legs — can be easily loosened. It keeps them well lubricated and in working condition every time you open them. If the furniture’s armrests have gotten stuck together, you can apply WD-40 with the smart straw. Within a few minutes, they will come apart. The number one cause of rust is water and air. When these two attack wrought iron furniture, rust builds up fast. You can apply it tothe furniture and it will dry out fast. Plus, it will prevent water from building rust on the future for at least six months. So, next time when you see even a little rust on your furniture, use these tricks and WD-40 to remove the rust and keep it at bay.